If you have just graduated from high school and are about to attend college, you may be looking into different options for your financial future, including credit cards. You may be fortunate enough to have a family member who is willing to cosign a credit card for you, or you may have good enough credit to get a regular card on your own. If not, a student credit card is a good alternative. We have compiled a short list of four ways student cards differ from regular credit cards to assist you in deciding what kind of credit card is going to be best for you. As a student, you will find that a lot of companies offer discounts, and credit card companies are no exception. Adults want to see students start off the right way in life, so they like to give young adults incentive to make good decisions. With many student credit cards you will receive benefits for good grades, like a statement credit once a year if you maintain a B average in your college classes. 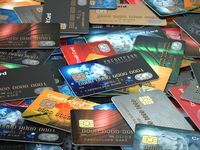 On the flip side, you may be less likely to receive rewards on overall purchases, but that should not be a big issue, as you likely are not using your credit card a lot. Students are riskier for credit card companies because they do not have a well-established credit history. As a result, you will have a higher interest rate if you choose just to make the minimum payments. This category, however, does not have to impact you if you choose to pay off your card every month. Additionally, while you may have a higher APR as a student, you often will not have an annual fee. Because students are establishing a credit history, they will have a lower credit limit on their newly acquired credit card. The average credit limit is around $8,000, but you will have a significantly smaller amount as a student. I think mine was around $1,000 a month. It is important to remember that you should try to spend less than 30% of your credit limit a month, as credit card companies view this favorably and it can be a good way to establish a good credit score. As a side note, your credit limit may be lower than the average, but that should not be a problem, as you should not have to spend a lot of money as a student. Student credit cards are easier to get as long as you are over 18, you are a student, and you do not have a bad credit history already. You will not have to jump through as many hoops; however, you likely will have to demonstrate some income, although a part-time job is generally sufficient for a student card. Student cards differ from regular credit cards in that they are giving young adults the opportunity to build a good credit history. You have the downsides of a higher APR and lower credit limit, but the upsides of extra rewards and ease in acquiring one. Once you demonstrate your responsibility with your student card, credit card companies will often upgrade you to a regular card, even before you graduate. As a result, a student card is a great way to get an in on a regular credit card even if you do not have someone willing to co-sign or a substantial amount of income when you first are applying.